Pictured left to right, Blake Shelton and Chloe Kohanski embrace during "The Voice" live finale episode. We've reached another season finale of "The Voice," and with that comes a new winner. The final four sang their hearts out in multiple performances of original songs, covers and duets with their coaches. 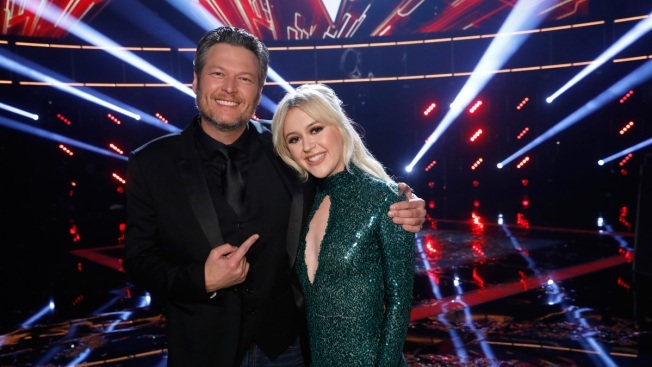 But it was Team Blake's Chloe Kohanski who wowed coaches and audiences alike all season and was named the winner Tuesday night. Heading into the grand finale Tuesday were: Brooke Simpson, from Team Miley; Team Adam's Addison Agen; and two remaining members of Team Blake, Chloe Kohanski and Red Marlow. At only 16 years old, Agen has a voice beyond her years. She also has a sound that's both all her own and similar to some of the greatest female artists ever. We wouldn't be even a little shocked if she takes home the win Tuesday night. Our hearts jumped a bit when we realized Cyrus and Simpson were going to duet on "Wrecking Ball" during Monday's final four. Simpson's voice is a little more traditional than Cyrus', which is why "O Holy Night" was a perfect choice for her finale cover, and she knocked it out of the park. She is definitely a powerhouse. What a shame Team Miley lost this Miley 2.0 in the knockouts, because we can only imagine what those two could accomplish together. However, Sheldon has done some serious good for her too, and she's got a great unique sound. 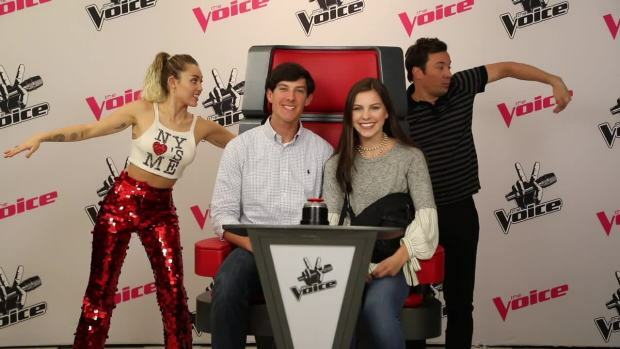 Miley Cyrus and Jimmy Fallon photobomb unsuspecting fans while they're sitting in the chair from "The Voice." Guys like Red Marlow have a history of winning "The Voice," but there's also always a guy like Red Marlow on the show. He's fine but the ladies have outshone him regularly. Original Post: The Voice Season 13: Who Should Win?